Here’s the situation, you need to deploy hotfix KB2434932 for Windows 7, so you download and package the hotfix. 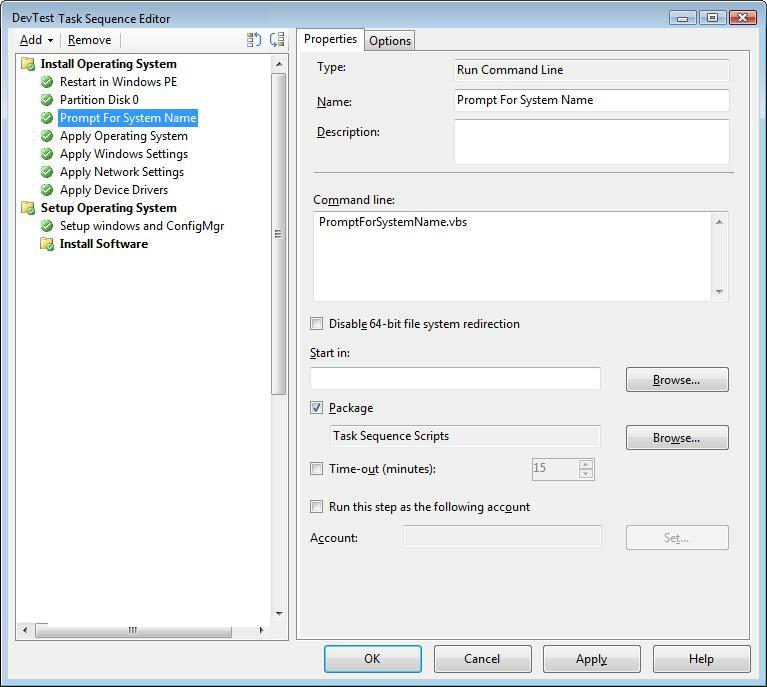 (Side note, this is because hotfixes for Windows which must be manually downloaded in order to deploy them do not show up in the WSUS catalog for deployment using SCCM Software Updates) However, after deployment to a few test computers, you discover that Windows updates are no longer registered within the Add Remove Programs inventory. So what do you do? Turn to DCM for help doing the inventory for you! This is precisely the challenge that I faced today. 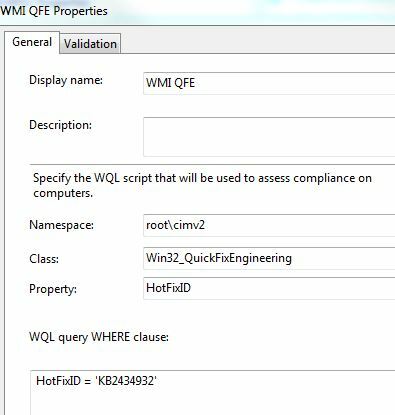 Here’s how I used DCM to inventory Windows 7 installed hotfixes. Click on the Validation tab and change the severity to “Information – no Windows event message” then click OK to close the dialog box. 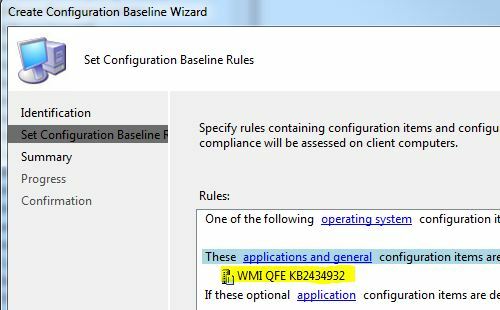 On the wizard page “Set Configuration Baseline Rules”, select option “These applications and general configuration items…”, then find and select the CI created above. 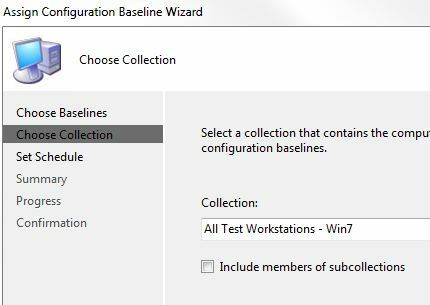 Select the create baseline within the console and run action “Assign to a Collection”. In the wizard, on page “Choose Collection” select the systems you wish to target. Note: that I’ve selected a collection only containing test systems for now. If your DCM inventory works, then it will be safer to deploy in production. On the Set Schedule wizard page, define a short schedule (such as 15 minutes) for quicker testing. Voila, now you have a collection to target for your package/advertisement. The only catch is that the collection won’t have any computers within the collection, so you’ll need to force a machine policy update on those computers so that they know they have the baseline to run the DCM inventory. You can use web report “Compliance details for a configuration baseline” to monitor when those computer have completed the inventory. Once they appear as “Non-Compliant” in column “Action Compliance State”, then you can update the collection membership to populate the collection with members. 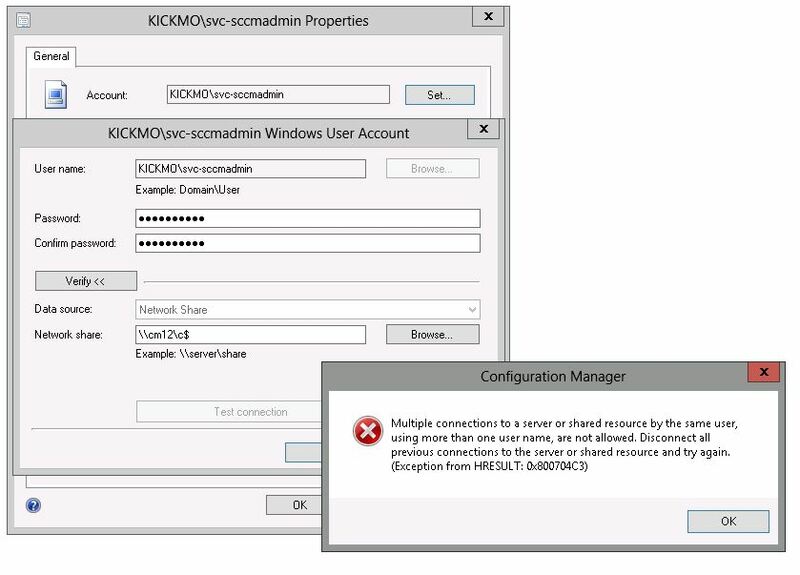 This entry was posted in ConfigMgr 07 and tagged DCM.